The first part of this serialised chapter for the forthcoming book Investigative Journalism: Dead or Alive? looked at new business models surrounding investigative journalism. 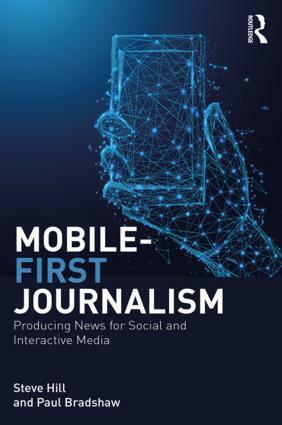 This second part looks at how new ways of gathering, producing and distributing investigative journalism are emerging online. 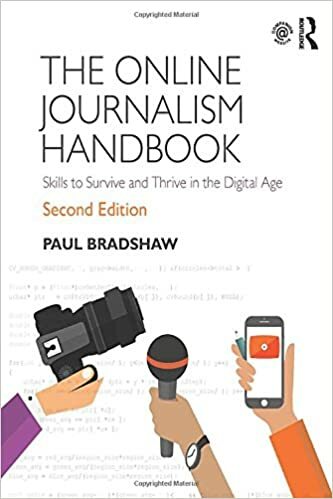 Over many decades print and broadcast investigative journalism have developed their own languages: the spectacular scoop; the damning document; the reporter-goes-undercover; the doorstep confrontation, and so on. Does online investigative journalism have such a language? Not quite. Like online journalism as a whole, it is still finding its own voice. But this does not mean that it lacks its own voice. For some the internet appears too fleeting for serious journalism. How can you do justice to a complex issue in 140 characters? How can you penetrate the fog of comment thread flame wars, or the “echo chambers” of users talking to themselves? For others, the internet offers something new: unlimited space for expansion beyond the 1,000 word article or 30-minute broadcast; a place where you might take some knowledge, at least, for granted, instead of having to start from a base of zero. A more cooperative and engaged medium where you can answer questions directly, where your former audience is now also your distributor, your sub-editor, your source. The difference in perception is largely a result of people mistaking parts for the whole. The internet is not Twitter, or comment threads, or blogs. It is a collection of linked objects and people – in other words: all of the above, operating together, each used, ideally, to their strengths, and also, often in relationship to offline media. This deconstructed but linked nature is fundamental to the shape that online investigative journalism often takes. Paul Lewis’s reporting, for example, for the Guardian allows users to see both its parts – as it takes shape – and its whole when it results in a more traditional narrative. All this before it breaks down once more into ongoing updates on subsequent court cases, demonstrations and inquests. The “story” – a form that was created for print and then broadcast media – is broken down online, providing multiple points of entry across the network of its parts, as well as points of control, such as what medium you experience the story in. Because, rather than being restricted by the qualities of the medium – rejecting a lead because it will not make “good television” or “doesn’t have a clear angle” – online investigative journalism sometimes takes advantage of its multimedia qualities. Frontline’s investigation into police shootings in the aftermath of Hurricane Katrina, for example, adds text reports to broadcast video, online updates and resources, providing users with the ability to explore the subject through individual cases – and even supply a tip via email. This requires a different mindset from the journalist: an ability to see how a story might play across different platforms to have maximum impact. In other words, not to take the medium for granted. Finally, online investigative journalism is often participatory: those points of entry across the network are also potential points of interaction. Paul Lewis’s investigations into Ian Tomlinson’s death during the G20 protests in central London in April 2009, into undercover police infiltrating the environmental movement, and into the death of a man being deported to Angola all benefited from ongoing participation through online networks. Clare Sambrook’s investigations into child detention took place on blogs and social media where its campaigning nature found a natural home. Talking Points Memo’s investigation into the firing of US attorneys won a George Polk Award thanks largely to the participation of its users who looked through thousands of e-mails and internal Department of Justice documents. There are dozens of similar examples. This is often called “crowdsourcing” – a memorable term for what is, simply, collaboration with people who don’t share the same employer. The key is to remember that there has to be mutual benefit – calls to “send us your stories” will not be enough. That involvement of the former audience can be confusing, and drag us into endless debates about who gets to be called a journalist, or a publisher – even whether something gets to be called “investigative” or not. This is an egotistical waste of time. Journalists’ job titles are not important: what they produce is. Part 3: What next for investigative journalism in a world of information overload? is now live here. This entry was posted in online journalism, social media and tagged clare sambrook, frontline, investigative journalism, paul lewis, Talking Points Memo on August 24, 2011 by Paul Bradshaw.